The Perth Cultural Centre is the city’s main destination for arts and culture. The museums, theaters, outdoor spaces, and other venues that make up the Perth Cultural Centre feature exhibits and events throughout the year, including Aboriginal and European artworks, modern art installations, film screenings, live theater, and much more. 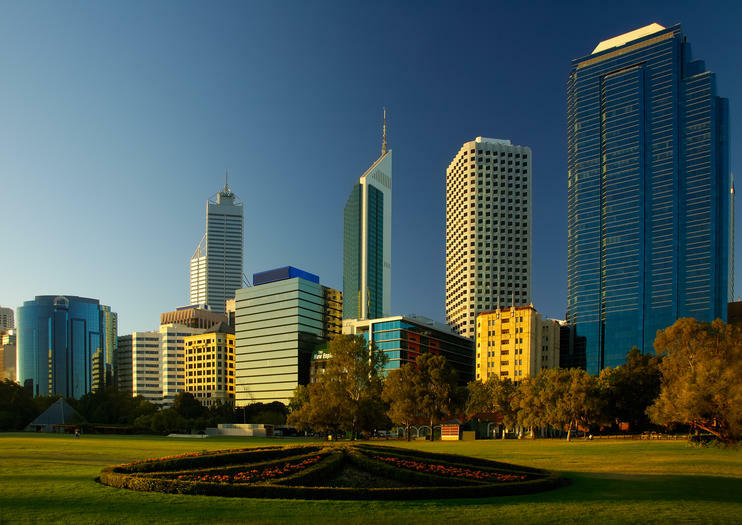 Nestled between Perth’s central business district and Northbridge, the Perth Cultural Centre is a stop on most hop-on hop-off bus tours and is easy to visit as part of a day of sightseeing—whether on your own or as part of a group tour. Some of Western Australia’s most important cultural and educational institutions are located here, including the Art Gallery of Western Australia, State Library of Western Australia, Western Australian Museum, State Theatre Centre of Western Australia, Perth Institute of Contemporary Arts, and Blue Room Theatre. The library and other venues sit along James Street Mall, a 1-block pedestrian lane that runs through the middle of the Perth Cultural Centre. Parking areas, with spaces for people with disabilities, are located off Roe Street and Francis Street. A children’s play space is located along James Street Mall. Bordered by Beaufort, Francis, William, and Roe streets, the Perth Cultural Centre sits on the edge of Northbridge, just across Roe Street from the Perth city train station. The complex can also be reached via the Blue CAT, a free bus service in the city center. Each venue has its own hours of operation, so check individual websites to plan your visit. Generally, theater performances take place at night, while other venues are open during the day. The Art Gallery of Western Australia is closed on Tuesday; Perth Institute of Contemporary Arts is closed on Monday. Located just north of the city’s central business district, Northbridge is one of Perth’s top dining, nightlife, and entertainment districts. There are a variety of restaurants and bars to check out before or after a show or museum visit at the Perth Cultural Centre.